Mother Nurture Circle was started to build a community of like-minded mums. Broadly speaking we are interested in natural holistic approaches to pregnancy, birthing and parenting. But we understand and respect that we are all on our own parenting journeys. 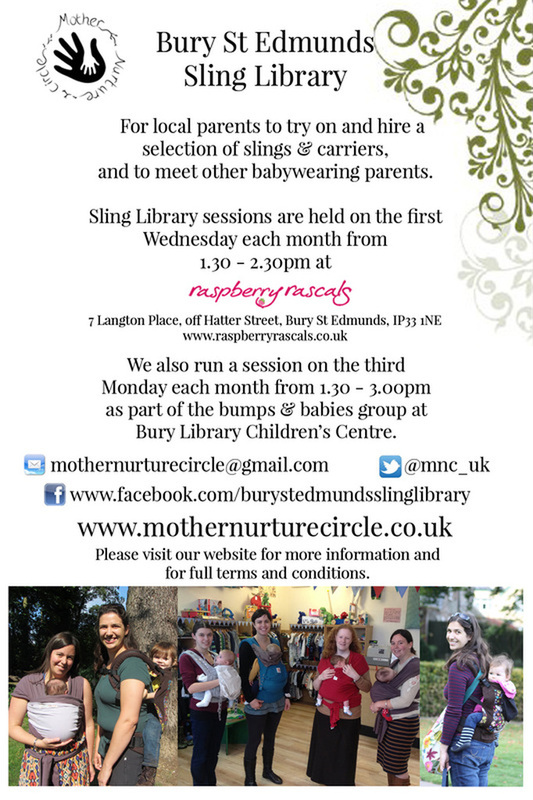 and on the third Monday of each month at the Bury Library Children's Centre. We are interested in things like breastfeeding, baby wearing, co-sleeping, baby-led weaning, or anything else we feel like sharing. We are not exclusive by any means, and anyone is welcome! We are a not-for-profit organisation and all of our proceeds go into the group's library and the running of the sling library. The group is open to all, whether you're expecting a baby soon, have a little one already, or your baby is all grown up! Mother Nurture Circle was set up by my friends Lisa and Hannah, who, like me, felt that there was a gap in Bury for 'natural parenting' Mummies to get support. They set up this group for Mums to meet up, either in person to go for lovely walks and drink lots of nice tea, or to chat on our facebook site. We are all different, with bumps or babies ranging from brand new to grown up! Some of us carry our babies, others have buggies, some of us chop and change, it doesn't matter. 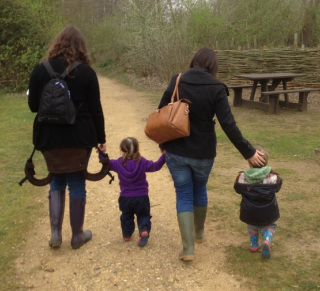 I have found it hugely helpful to meet other Mums who are trying similar things to us, like breastfeeding, co-sleeping and baby-led weaning in particular. I was finding it very hard and isolating not to know anyone who I could talk to about what it's like to have a baby who doesn't sleep through the night, and breastfeeds round the clock, but now I know there are loads of us! I wish I had joined a group like this early on, as it would have got me out of the house, and made me much more confident, but I love it now, and Amelia loves playing with the other babies, whatever age they are. Hannah, Lisa and Tina have stepped back from the admin side of the group now due to other commitments, so the group is being run by myself and Emma. We now have a new website up and running, we have set up a sling library for Bury, and we are planning exciting new things for the group. More to follow soon!